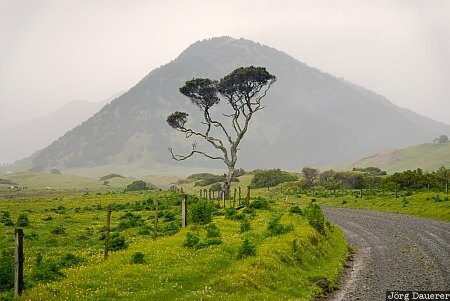 Silhouette of a tree seen through heavy fog near East Cape, Gisborne, New Zealand. This photo was taken in the evening of a rainy day in early November of 2008. This photo was taken with a digital camera.